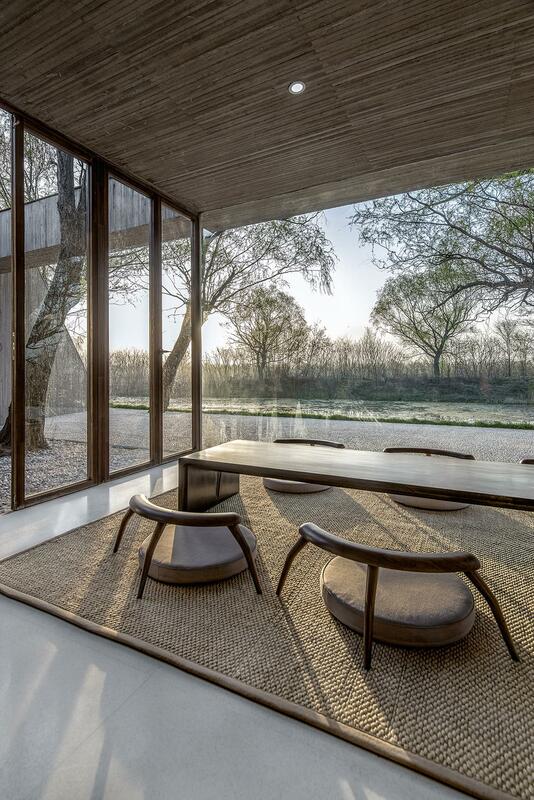 This recently completed private spiritual Buddhist retreat and tea house in the rural Tangshan area in China’s northeastern Herbei province, produces perfectly the tranquil environment and reverent atmosphere that the design brief requested. 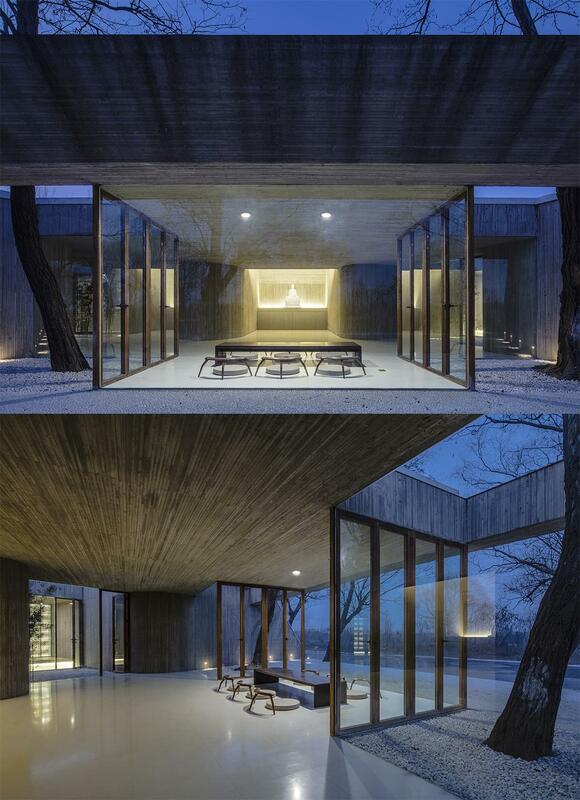 The project was executed by the Beijing-based design and architecture firm Archstudio established in 2010 by architect, Han Wenqiang. While the inside of the residence is stunningly beautiful in its stark elegance, it is the outside that most deserves admiration. 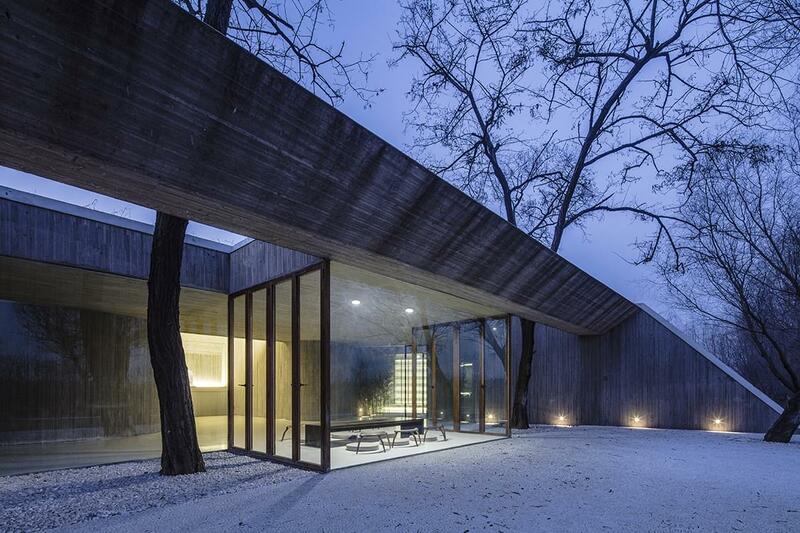 While the inside of the retreat is stunningly beautiful in its stark elegance, it is the outside that most deserves admiration. The structure appears to be either burrowing into the low hillock or slowly rising from it. It seems both alien and perfect for the site that at first seems uninspiring and difficult, at least to the untrained eye. It is an almost flat, 500 square-metre (approx. 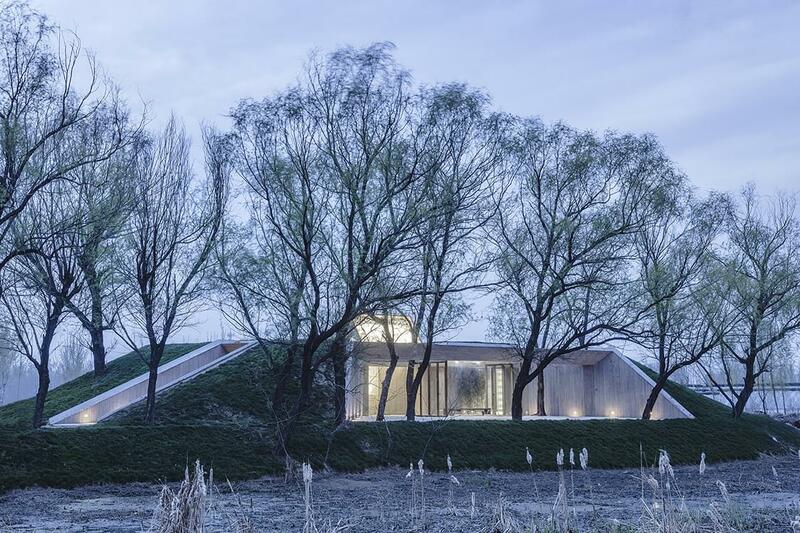 5400 sq.ft) wetland plot by the Luan river with only a few, bendy trees. 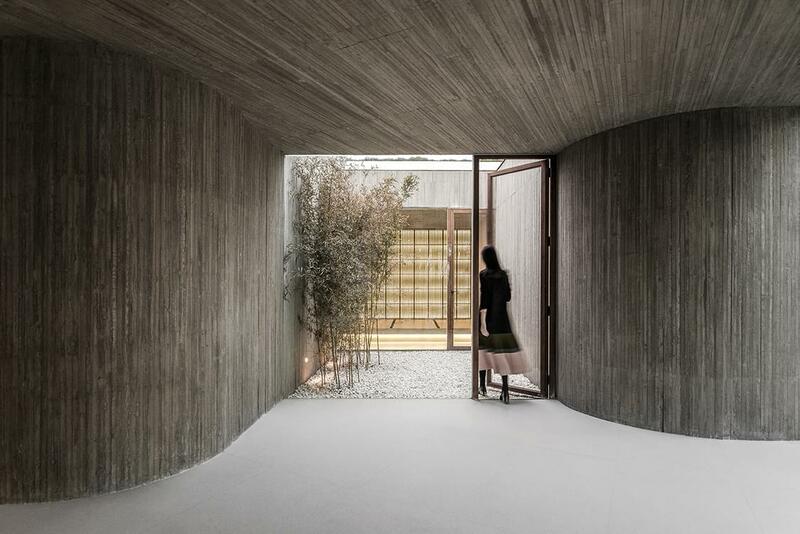 Yet now, when the 169 square-metre (1,800 sq.ft) house is complete, the design has not just preserved the seemingly unremarkable trees, it has revealed them to be spectacularly beautiful. 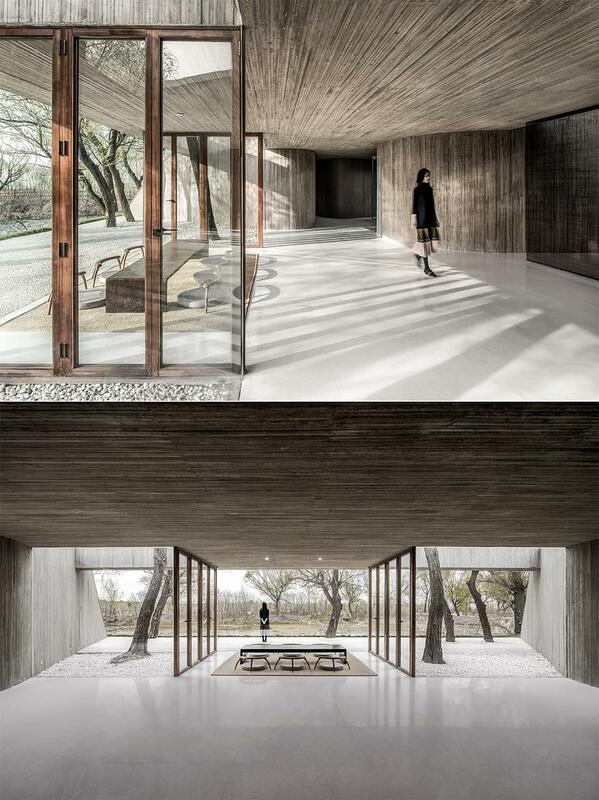 Two of the trees have become the gateway to the building and the defining feature from both the outside and inside. 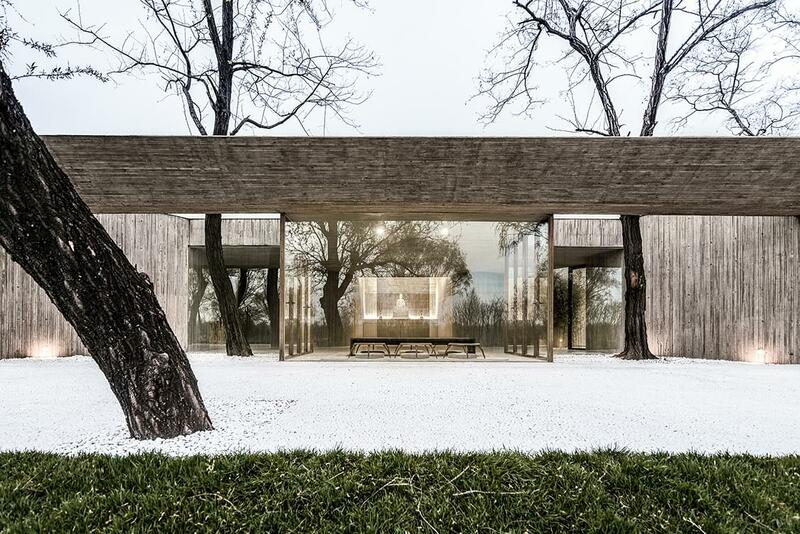 The five separate segments of the structure – the entry area, the meditation room, tea room, lounge and bathroom – branch out from a trunk and echo the tree theme. 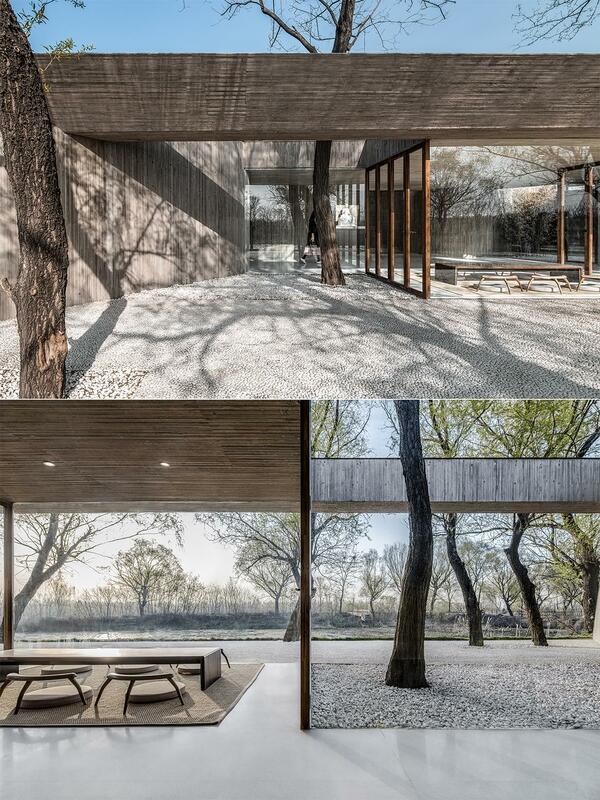 The tea room opens to the pool, and the trees on both sides of the tea room shade the courtyard. The inside and outside interconnect, with the trees as the visual guide. 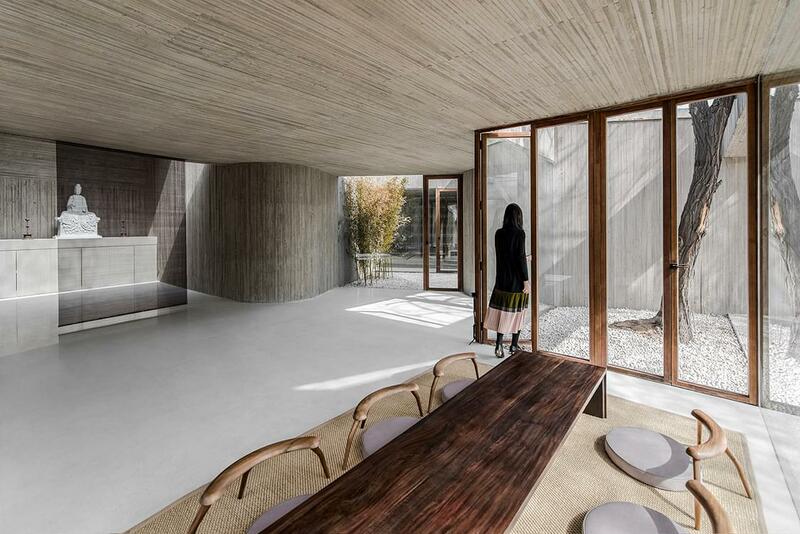 Inside, the tree theme is seen throughout – in the wood slats, wooden door and window frames and custom furniture. 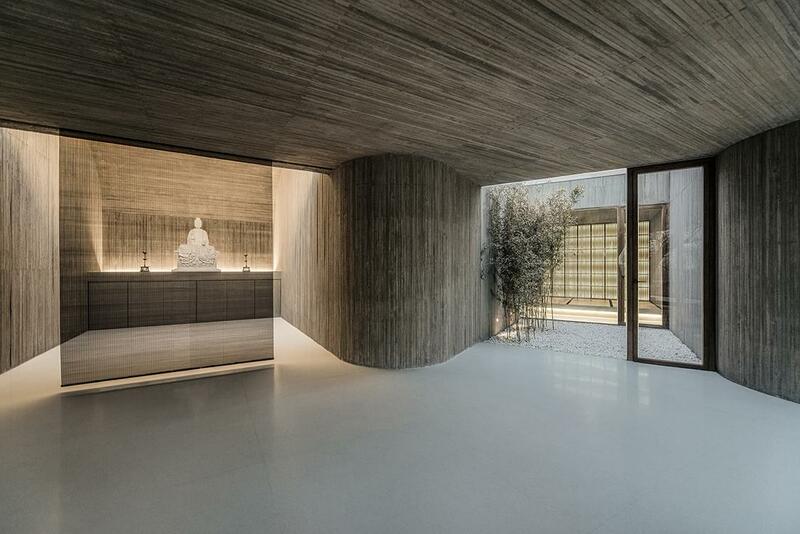 White pebbles, smooth terrazzo, wood-textured concrete and glass add variety to the sparse palette of tactile and visual elements. Very Zen, indeed.